Will Ezreal jungle make it into the 2017 World Championships? 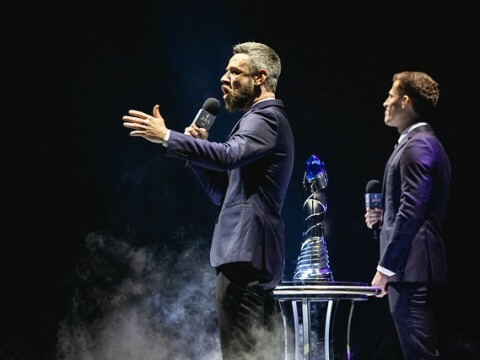 Either in MSI or any other form of international competition format, the question always remains the same for pro players regarding solo queue. How much of a player’s solo queue picks will be played on the stage? Fans gain an amazing amount of excitement, compared to watching live games, through the sheer wonder of how high a player can climb or how many games they can play on a certain solo queue champion. 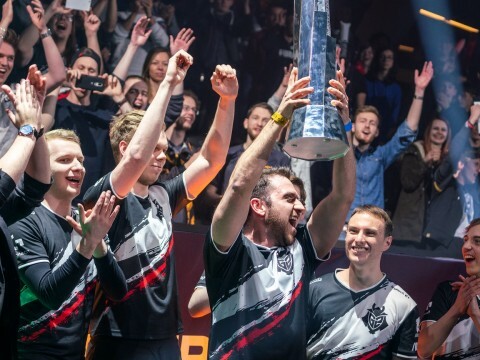 During a season when players post about how many games they played to make it to Challenger or on their incredible win rate, the community goes crazy off the unbelievable accomplishments. The same principle goes to the play-in stage for this year’s Championships. To prepare for the stage in China, teams from Europe, North America, and other regions have all gone to South Korea for bootcamp. Players specifically have gained a lot of interest in how the foreign players perform in bootcamp. Strangely enough, teams from Europe and North America have been showing a tendency towards a new jungle pick. 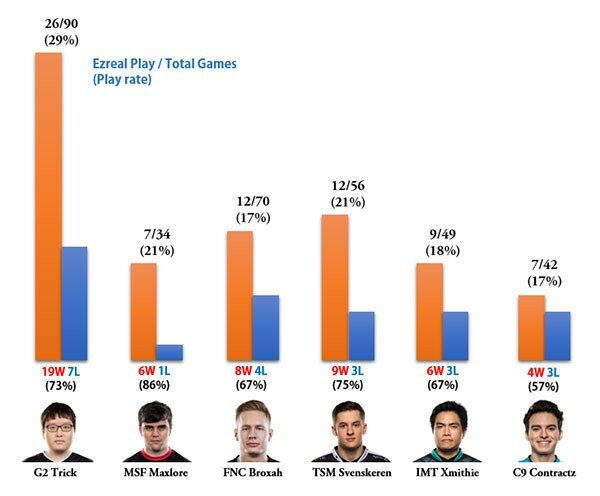 Showing an incredibly high win rate, Ezreal jungle has been played throughout bootcamp. 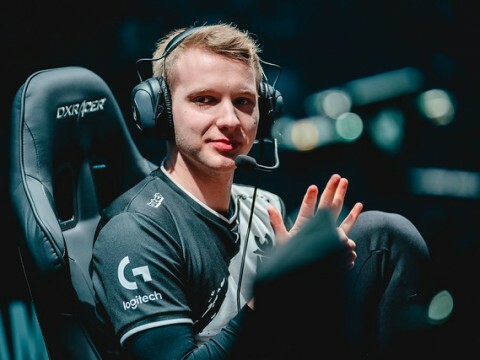 In the span of the first week of bootcamp, Trick, G2’s jungler, has picked Ezreal jungle 26 times and has won 19 of those games. Misfit’s jungler, Maxlore, and Fnatic’s jungler, Broxah, have both shown good results as well with Maxlore winning 6 out of 7 games and Broxah winning 8 out of 12 games. The same promising results show for the NA teams as well. TSM’s jungler, Svenskeren, had a total of 56 solo ranked games, played Ezreal 12 of the 56 and won 9 of them. IMT Xmithie won 6 games out of 9 with Ezreal as well as C9 Contractz with 4 wins out of 7. The trend does not stop here. Korean junglers also have shown a lot of Ezreal jungle. 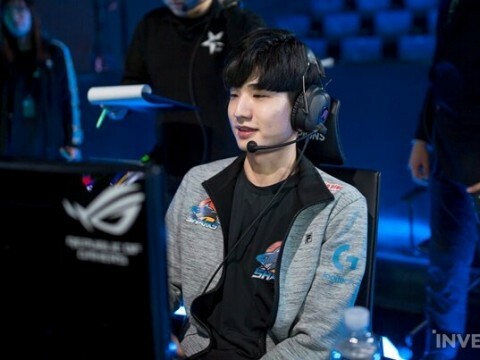 Jin Air Green Wings’ jungler, Umti, once said “Ezreal jungle is trash” but yet plays it himself in his solo queue games as of recently. 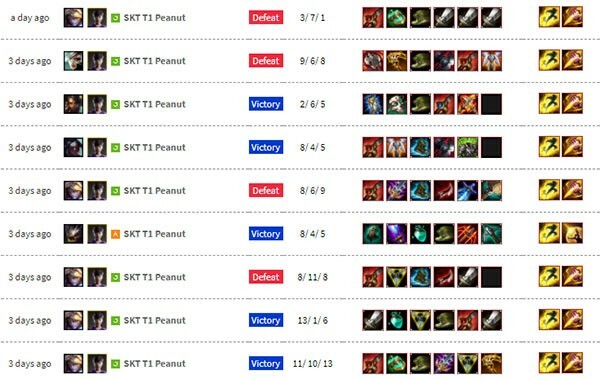 As seen from the chart below, SKT T1 Peanut has shown both a high pick and win rate with Ezreal jungle. Related : Message From a KR Pro to NA Players: "Have faith in your jungle Ezreal! He just might bring good results!" Granted, scrims and solo queue games are drastically different from that of real live games. Galio, for example, shows a fairly mediocre result in solo queue but has been a highly contested pick in live games because of his teamfighting capabilities. 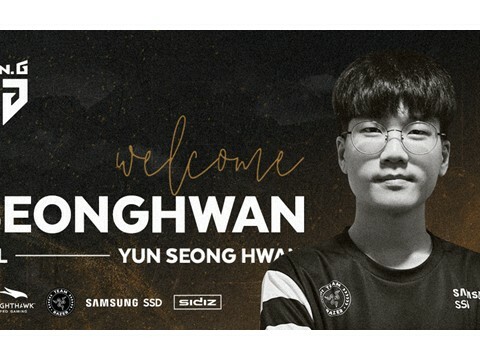 Nevertheless, the fact that so many pro players are playing jungle Ezreal has to suggest that Ezreal might have an impact that no other jungler may have right now. Ezreal may make his way into live games, unlike other solo queue champions, because of his unique impact onto the meta. The Korean server, like other servers, includes a style of play and picks that have captured everyone’s attention. Faker’s mid Riven in 2013 and GorillA’s Miss Fortune support in 2016 were all out of the box flex picks. 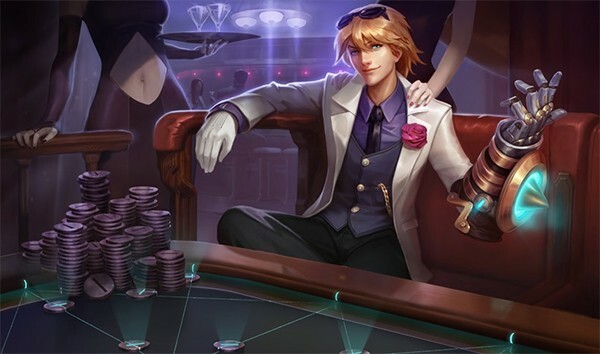 Will Ezreal be the champion to pop out onto the stage in this year’s Championships? Let’s just hope Ezreal can make it onto the stage with his newly released Star Guardian skin.